Firstly, the degree of anti-slip coating and floor paint required is something that will need to be calculated to make sure you have complete protection. This will be governed by the exposure to weather and varying factors need to be taken into consideration. For example if your balcony has a solid wall preventing driving rain or open railings allowing rain, ice and pooling water also if it is westerly facing or not you may have to consider a different product to that if none of these factors were in place. Another factor which needs to be considered is the exposure to the costal weather with salt in the air as this may have an impact on the suitable balcony waterproofing paint you require. Secondly there is the feasibility of applying the balcony floor paint coatings as access to the property for the tenants whilst the paint (often 3 to 4 coats) is drying may cause an issue. 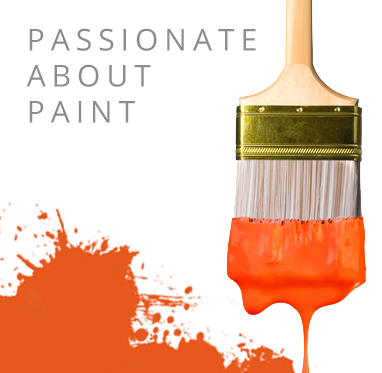 Also paint dries a lot slower as the temperature drops, many stop curing below 5 degrees C. If the paint dries too quickly, the contractor is unable to lay the coating, If it is too slow, disruption to the tenants is increased. A two pack water based quartz exterior coating suitable for balconies and terraces, offering high abrasion resistance. Does it have grease on it? How can you clean your balcony in preparation for the waterproofing? What is the surface currently? What balcony primer is required? Promain has tried to find a range of anti-slip private and public balcony coatings that not only are long lasting and offer high performance, but are suitable for every budget and also easy to apply, let’s face it this is what we deal with on a daily basis. Two-pack water based products such as Rustoleum Pegasol Quartz or high performance coating such as Sigma Shield 1090, a two-part flint reinforced solvent free polymine cure epoxy offer a fantastic all round solution to balcony waterproofing. Scotchkote Urethane PU 846 offers performance and extremely good colour retention. If you would like to discuss these and many other points of floor paint and coatings in greater depth please speak to our technical department at Promain as they will guide you through the pros and cons of tackling balcony coatings, waterproofing and surface painting.